I was first introduced to homeopathy in 2002 when my immune system was in complete turmoil and no doctor could figure out what was going on. It took 14 years, YES….14 long years to get the diagnosis of a sub-class immune deficiency. I talk more about that, and explain what to look for in my “Get Sick Often? Stay Sick Longer? You May Be a Zebra” blog. Check it out, you just might save yourself or someone you care about a lot of grief and suffering! But, this article is about homeopathy and its ability to turn my health around when nothing else could and how it could help yours…even for the simplest of symptoms that require immediate treatment, like insect bites (think mosquitos or fire ants). When I first worked with a homeopath (who was originally a pediatrician), I had no idea how it would help, but I was anxious to try it. After three months I saw some relief, but by six months, I experienced tremendous improvement. It felt too good to be true, but I stuck with it and I’m so glad I did! I have since relied on homeopathy to treat a variety of symptoms for myself, my family and my clients. For the record, I LOVE homeopathy and believe in its ability to relieve the most complex to the most simple of health conditions and complaints. There is really nothing else like it. Homeopathy is based on the simple premise of similia similibus, or “like cures like.” They are not herbal, but rather made from a wide variety of flowers and minerals found in the earth and sea. Infinitesimal (very small) doses are created by diluting the original substance with water thousands of times. These incredibly small doses encourage your body to heal itself by taking a very tiny amount of the actual substance that creates the illness/condition/symptom in a healthy person, but relieves it in someone with the illness/condition/symptom; hence, “like cures like.” It is the gentlest form of healing available, and is incredibly safe due to its minimal dosage. They can even be taken with medications! 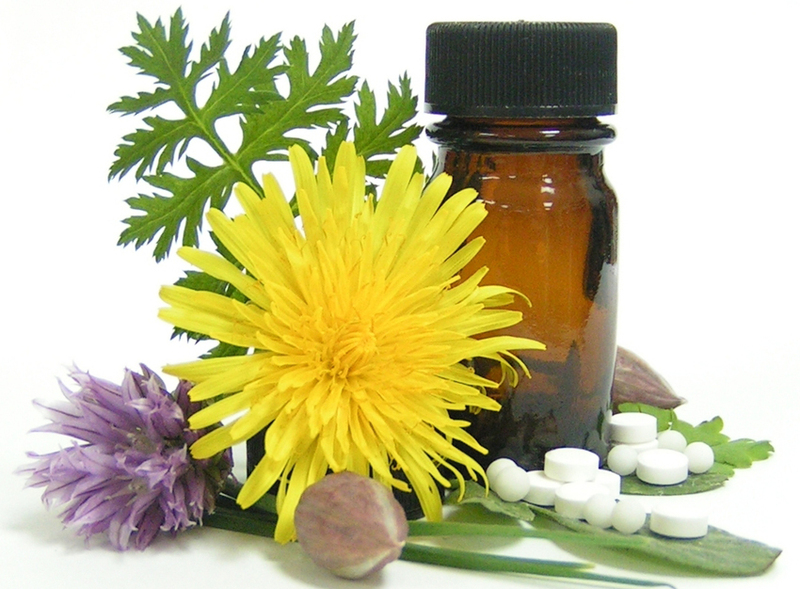 There are hundreds of homeopathic remedies to treat a massive array of symptoms. From arthritis pain, to gas/bloating, to bruises, there is a remedy for just about everything you can think of. Easy to take and easy on the taste buds, homeopathic remedies are typically tiny round pellets that taste like sugar and dissolve quickly, sublingually (under the tongue). There are also liquid forms, but these are generally prescribed by a professional homeopath. At the end of this article, you’ll find a list of some of the most common homeopathic remedies that you can find at The Vitamin Shoppe, online, or at EarthFare (in Charlotte, and other NC locations) or Whole Foods. And, the best part, they are very inexpensive and can usually be purchased for $5.99-$7.99 per tube, which lasts years, unless you are taking them more regularly and are under the care of a homeopath. Arnica Montana (30C) – Reduces inflammation/swelling, bruises, and trauma from injuries. Used by athletes! Lachesis Mutus (30C) – Minimizes hot flashes associated with peri-menopause/menopause, and the #1 remedy for sore throats (the tube will say for “Hot Flashes,” but remember, remedies have multiple and sometimes hundreds of uses). Ledum Palustre (30C) – Stops itching and swelling from bug bites (mosquitos, fire ants and more). Carbo Vegetablis (30C) – Reduces abdominal bloating and gas quickly! Hydratis Canadensis (30C) – Relieves post nasal drip by drying up excess mucus. If you’re frustrated with your health, or can’t seem to reach your health goals Join My Health Coach Robyn today! For just $7.95/mo., you’ll gain access to bi-weekly education packed videos, monthly webinars with special guests, access to free “live” events and much more. Join our members as they learn to use awareness to achieve optimal health!